The University of Évora is a public institution of higher education and the second oldest university in Portugal. It was founded in 1559 by Cardinal D. Henrique, who handed it over to the Company of Jesus, and for two centuries distinguished itself for its role in the education of the Iberian elites and missionaries. However, following the expulsion of the Jesuits by minister Marquis of Pombal, in the 18th century, the university’s rapid decline began, being closed down in 1779 and its masters either incarcerated or exiled. It was reopened nearly two hundred years later in 1973 as University Institute of Évora and renamed in 1979, as University of Évora. 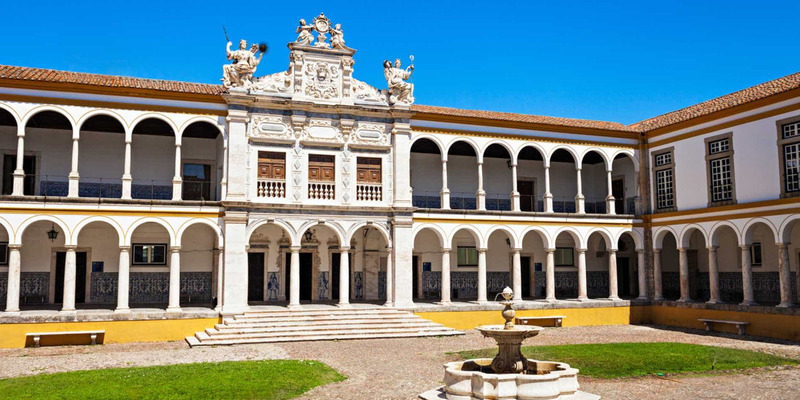 Currently, the University of Évora is organized in 4 Schools: Arts, Sciences and Technology, Social Sciences and Nursing. Research and Development (R&D) covers several scientific areas through a network of 14 Research Units, all of them submitted to international evaluation, under the coordination of the Institute for Research and Advanced Studies. The main R&D areas are: Agronomy and Biodiversity; Geophysics, Environment and Landscaping; Materials and Surface Science; Economics and Business Studies; Computer Sciences and Software Interoperability; Social and Political Sciences, History, History of Art, Archaeology, Science and Cultures; Applied Mathematics; Education; Linguistics and Literature; Elderly Healthcare. The 140 running R&D projects are developed through national and international partnerships, funded by the FP7, FCT as well as by private sponsorship. Furthermore, the University of Évora established 3 Chairs in areas of excellence: Biodiversity, Renewable Energies and Heritage, which are sponsored by private capital holders. Blended in with the city, the University of Évora main campus is comprised of buildings with high patrimonial value from different historical periods: Espírito Santo College, Casa Cordovil, Luís António Verney College, Pedro da Fonseca College, Mateus d’ Aranda College, Vimioso Palace, Leões Factory and São João de Deus School of Nursing. Outside city limits, the university also has Mitra campus, two experimental estates in the south of Alentejo and several other units scattered over different cities in the south of Portugal, including Estremoz, Sines, Marvão and Alter do Chão, with teaching and researching activities (www.uevora.pt). We welcome you to Évora, the door of Alentejo! UNESCO World Heritage site since 1986, Évora is an ancient city of narrow streets, unforgettable monuments and white, sun-washed houses. Shaped by more than twenty centuries of history, going as far back as Celtic times, Évora was conquered by the Romans in 57 BC, and by the Visigoths, during the barbarian invasions, in 584. In 715, Évora became under Moorish domain, only to be wrested in September 1165 through a surprise attack by Giraldo “The Fearless” (Giraldo Sem Pavor). In 1166 Évora came under the rule of the Kingdom of Portugal, flourishing as one of the most dynamic Portuguese cities in Middle Ages, becoming one of the leading centers of Portuguese art and architecture. Évora arrived to the 21st century as a young and vibrant city, with a large student population and a museum-city with plenty of history. 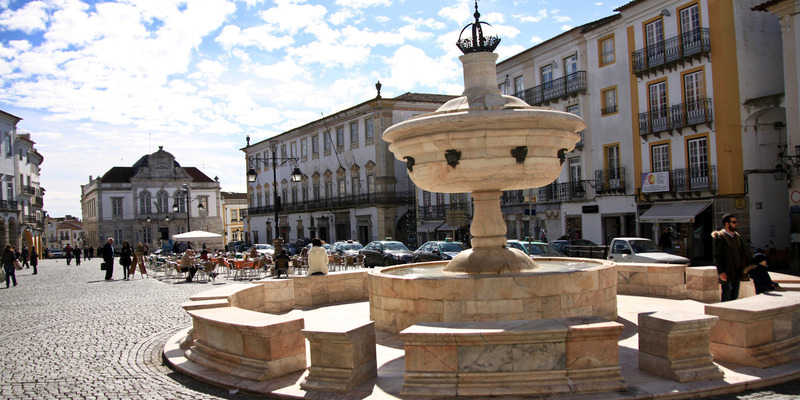 The Historic Centre of Évora is home to the second largest collection of Portuguese national monuments. Among the most iconic landmarks and monuments we highlight the Giraldo Square (Praça do Giraldo), Portas de Moura Square, the Roman Temple and the Roman Baths ruins, the Old City Walls and the remains of the Moorish Kasbah, Água de Prata Aqueduct, city´s Cathedral, Espírito Santo College – University of Évora, São Francisco Church and the macabre Bone Chapel, Graça Church, D. Manuel Palace and Lóios Convent with the São João Evangelista Church. Alentejo is a region of vast plains covered with large areas of olive groves, vineyards, prehistoric monuments, fortified towns, traditional villages and one of the most biodiverse and emblematic Mediterranean systems – the Portuguese Montado (or Dehesa), all of which are a joy to explore. Alentejo offers a truly unique Portuguese experience, with a distinctive heritage, delicious regional cuisines, prize-winning wines and an infectious unhurried pace of life. 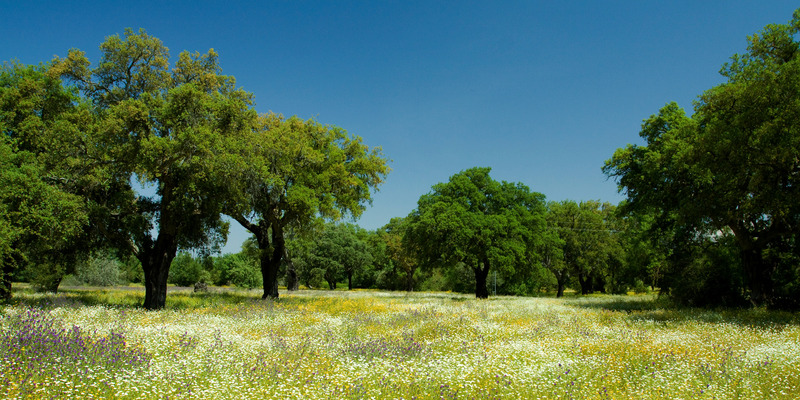 Shaped by man since ancient times, Alentejo landscape is the result of extensive agro-silvo pastoral activities taking place since prehistory, governmental encouragement to wine production in the 12th century, and cereal production between the late 19th and early 20th centuries. More recently, the construction of the Alqueva dam in the beginning of the 21st century led to an increasingly profound landscape transformation and agricultural intensification, causing pressing conservation challenges in the region.